The Center for New Designs in Learning and Scholarship (CNDLS) is at the heart of Georgetown University's effort to combine the best of its educational traditions with the tools, resources and opportunities of the new learning environments of the 21st century. The Center's programs promote active reflection and the development of learning experiences that effectively use technology to achieve defined teaching goals. Since Fall 2013, Georgetown has been offering Massive Open Online Courses (MOOCs) through the edX platform, which allows anyone around the globe to learn online for free from faculty members at top research universities and liberal arts colleges. 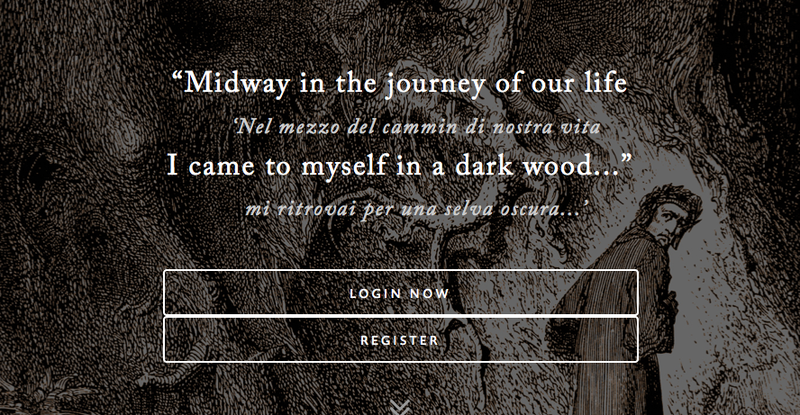 One of the more recent courses offered is "The Divine Comedy: Dante's Journey to Freedom". In addition to the edX learning platform, students are also using MyDante which is an innovative platform that encourages the practice of contemplative reading. The platform provides a space where students can engage with the Divine Comedy in a personal and social way. MyDante is a Django app that was originally conceived as a digital incarnation of a medieval illuminated manuscript providing illustrations and shared annotations. Because a large enrollment was expected for the course, CNDLS turned to Jazkarta to ensure that the application was rock solid and the launch went smoothly. Jazkarta helped the CNDLS team deploy the app and created a suite of functional and performance tests. The public site is now launched and you can register for the course on edX.